Monica Puig did not come close to qualifying for the WTA Finals in Singapore but she still came away as one of the big winners at the season-ending event, Reuters reports. 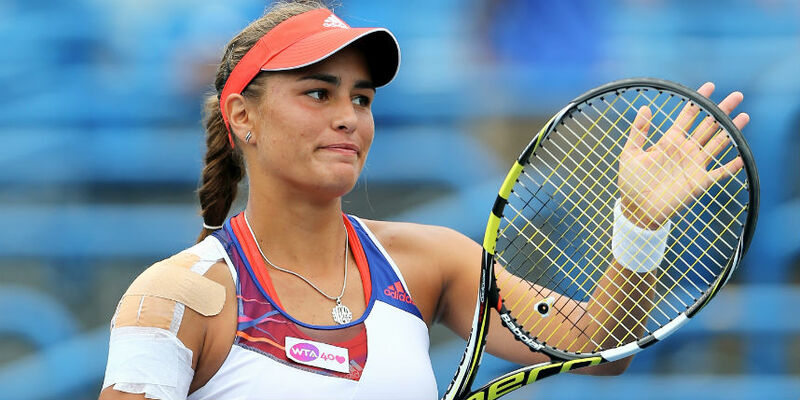 Ranked 61st in the world, the 21-year-old Puig was never a contender to make the elite lineup reserved for the world’s top eight female players. However, the Puerto Rican earned herself a trip to Singapore courtesy of her popularity and an innovative event that the WTA hopes will shine a light on the game’s next generation. For the first time, the WTA ran a consolation event, called the Rising Stars, at the same venue as the Finals. Just four players were picked for the event, decided by fan votes, two from Asia-Pacific and two from the rest of the world. The year-long competition to get selected was fierce but Puig campaigned hard and succeeded in garnering enough votes to book a spot, where she made the most of her chance. She beat each of her three opponents — Zheng Saisai, Shelby Rogers and Zarina Diyas — during the round-robin phase then beat Zheng again, 6-4 6-3, in Tuesday’s final. “When I found out that I was going to come here, I was just overwhelmed and so overjoyed that I have another chance to bring out my best tennis and compete as hard as I can,” Puig, who pocketed $20,000 with the victory, told reporters. Puig may not have been a part of the main event but said winning the Rising Stars and seeing the big names up close had given her the confidence she could join them one day. “You know, I feel like I’m almost there,” Puig added. “This year has been a year of transition. I changed coaches twice, and now I feel like I’m finally in the situation where I need to be.